This new leather jewelry collection is inspired by horses and everything equestrian. 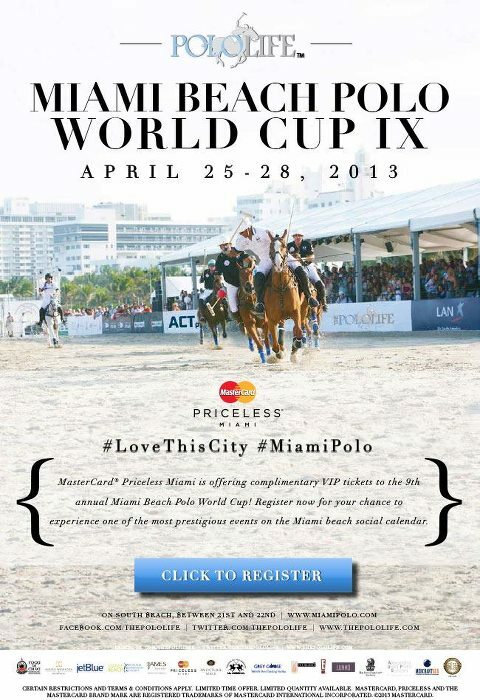 As such, it is fitting that it will be officially launched during the ninth annual La Martina Miami Beach Polo World Cup, the world’s largest and most prestigious Beach Polo competition, taking place from April 25 to April 28 between 20th and 22nd Streets on the sands of South Beach, Florida. Miss Nyet Jewelry features original, one of a kind unisex jewelry that is inspired by Delphine Pontvieux’s many passions. Her 2012 collection, which is currently highlighted in the annual swimsuit issue of Southern Boating Magazine, had a nautical theme. This year, her designs are all things equestrian. Pontvieux has taken the energy of the event and incorporated the elegance and fearlessness of Polo into her line of handmade beautifully dyed hides, which feature unisex leather cuffs, bracelets, as well as chokers. She has also launched a matching line of dog collars — a must have for every horse lover and their four-legged companion! Pontvieux was also commissioned by The Polo Life, the organization committee of the La Martina Miami Beach Polo World Cup IX, to create a distinct piece of jewelry to be given as gift to all the female polo players in competition during the Trophy ceremony on Thursday, April 25th. If you will be one of the 5,500 guests expected each day, come pay a special visit to Miss Nyet’s Jewelry display, located on the beach between 20th and 22nd street and meet the designer, Delphine Pontvieux. Her Polo collection will be sold exclusively at the four-day event before it officially launches online from May 15th on. Click here to take a sneak peek at one of her creations from the “equestrian” collection.